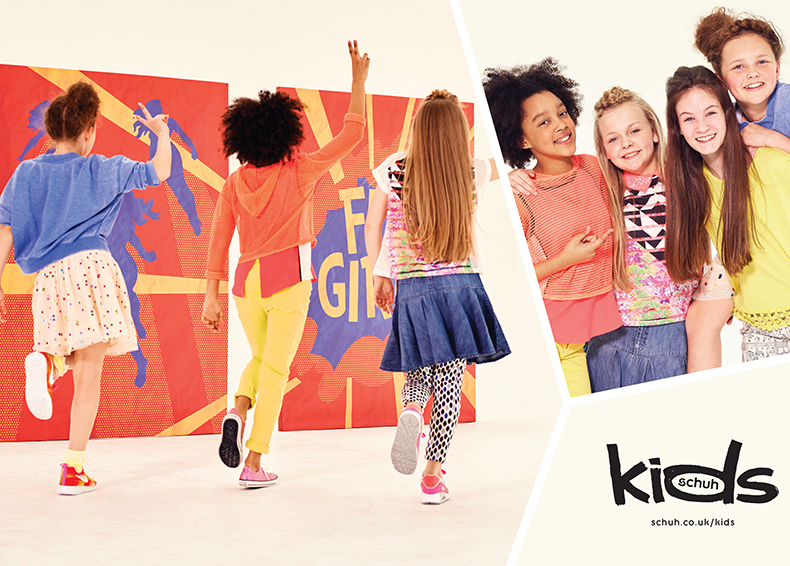 Our seriously big range for little feet is looking better than ever, and it’s with great pride that we give you a sneak peek into our schuh Kids autumn/winter campaign, featuring some of our latest additions to the gang that will be making an appearance in the year ahead. We know that it’s really just hit that back to school shopping time for most of you, but forget about the boring school shoes – we’re all about the latest and greatest from our collection of the best brands. You can expect to see quite a bit from Converse, Nike, adidas and New Balance – to name but a few. 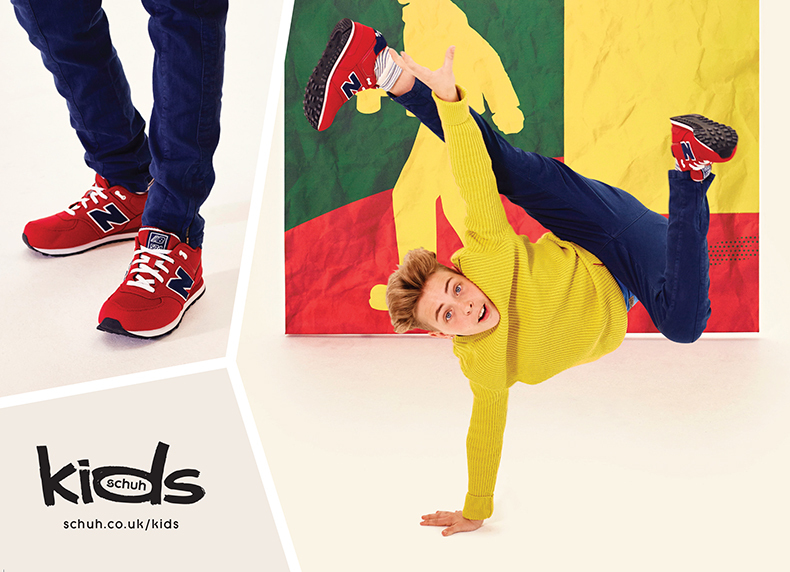 Keep your eyes peeled for our new campaign out in schuh kids stores and online, it’ll be making an appearance soon. With bright colourful schemes and sassy kids galore (see above please) it’ll be pretty hard to miss. In the meantime, shop the rest of our girl’s shoes and boy’s shoes – there’s plenty to choose from, so much so that you might end up a little jealous that you can’t squash your feet into the kids styles. Believe us, it doesn’t work. We’ve tried.